"Auld Lang Syne"—the phrase can be translated as "long, long ago," or "old long since," but I like "old times past"—is a song that asks a question, a tender little question that has to do with the nature of being alive, of being a person on a journey in the world. It not only asks, it gives an answer. It was written, or written down, by Robert Burns, lyric poet and Bard of Scotland. 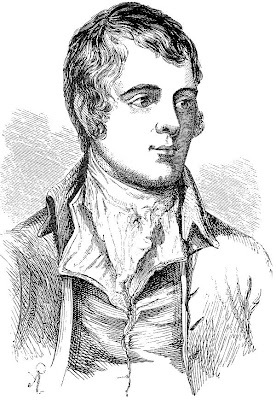 In 1788 he sent a copy of the poem to the Scots Musical Museum, with the words: "The following song, an old song, of the olden times, has never been in print." Burns was interested in the culture of Scotland, and collected old folk tales and poems. He said he got this one "from an old man"—no one knows who—and wrote it down. Being a writer, Burns revised and compressed. He found the phrase auld lang syne "exceedingly expressive" and thought whoever first wrote the poem "heaven inspired." The song spread throughout Scotland, where it was sung to mark the end of the old year, and soon to the English-speaking world, where it's sung to mark the new.